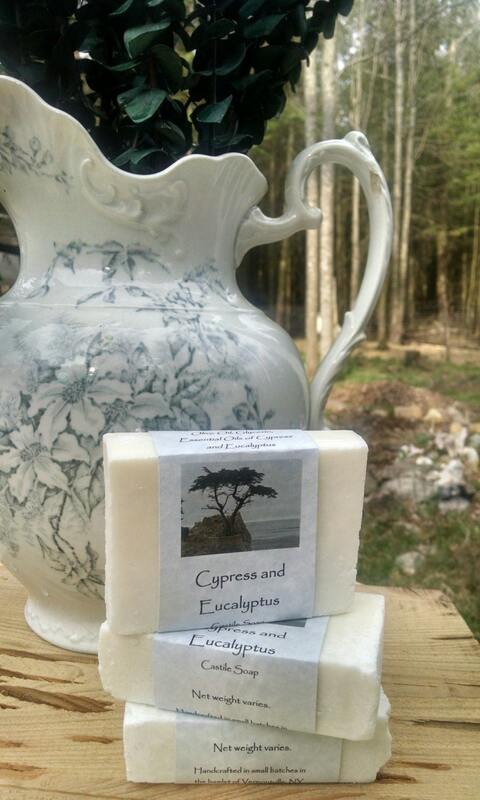 This very mild, cold-process Castile soap is subtly scented with Eucalyptus and Cypress Essential Oils. Both are antibacterial and stimulating to the circulatory system. 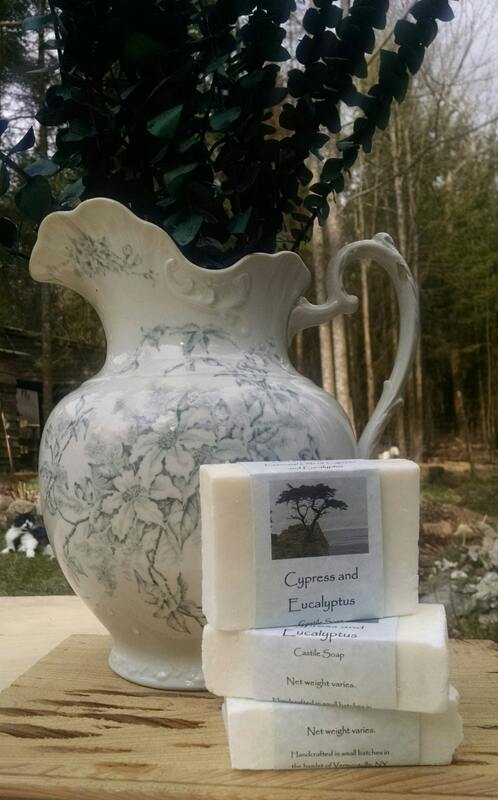 Cypress invites strength and mental clarity with its subtle woodsy charm, while Eucalyptus stimulates the mind and soothes the respiratory system and olfactory senses. 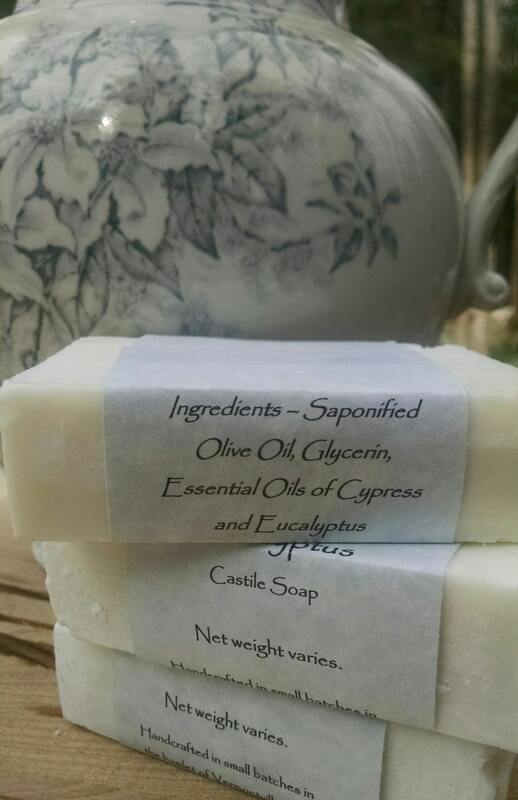 The best way to describe the scent of this soap is very simply - "Clean". 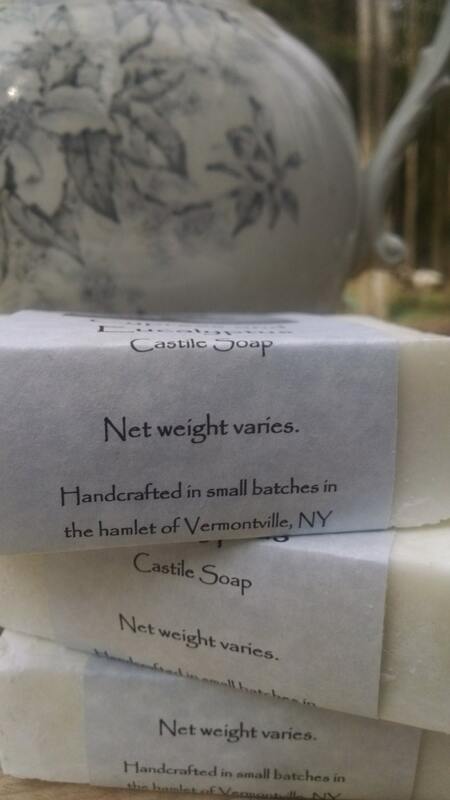 Net weight varies, but the average weight of these generous sized bars is about 7 oz.